No Man's Sky Patch 1.38 is Out on Experimental! Here's Everything You Need to Know! Howdy folks, there is yet another No Man's Sky Patch available on the experimental version of the game and it is of course 1.38. This patch brings yet another huge list of changes and fixes as well as a somewhat crazy but at first glance very welcome overhaul of the save file system. I'll get into the very cool and notable changes in detail shortly but first, as always, let's quickly read off the more "minor" changes and fixes. Note for experimental: while 1.37 saves are forwards compatible with 1.38, 1.38 save files are not backwards compatible with 1.37. For this reason, when you first run 1.38, an automatic backup of your 1.37 save file will be stored in your save folder, in case you wish to return to 1.37. *So In Case you fine folk aren't fully sure, any progress that you make while in 1.38 cannot then be transferred to 1.37, using your backup will bring you back to exactly when those backups were saved. This isn't a huge issue as this will be going live shortly and if you are like me where you wish to perform multiple tests between the game versions, you can still access 1.37, just not with that 1.38 progress. The New Save System Overhaul has produced a much more user-friendly experience with players now being able to have multiple save in the same game mode, something I think many a player has been after for a while now. Something else to keep in mind with all patches and experimental updates is to manually backup your save file to a safe location. Whenever I do something to test or of questionable stability or of course when a new patch comes in, I manually backup my save files, this, of course, can only be done on PC, unfortunately, I'm not aware of a way to manually backup your files on PS4, but the automatic backup implemented for this patch is likely enough in this specific situation. The method for manually backing up your save files is to click your windows search bar and simply put in %appdata%, this will locate your AppData folder which is a hidden folder that by default cannot be seen in the folder directory. 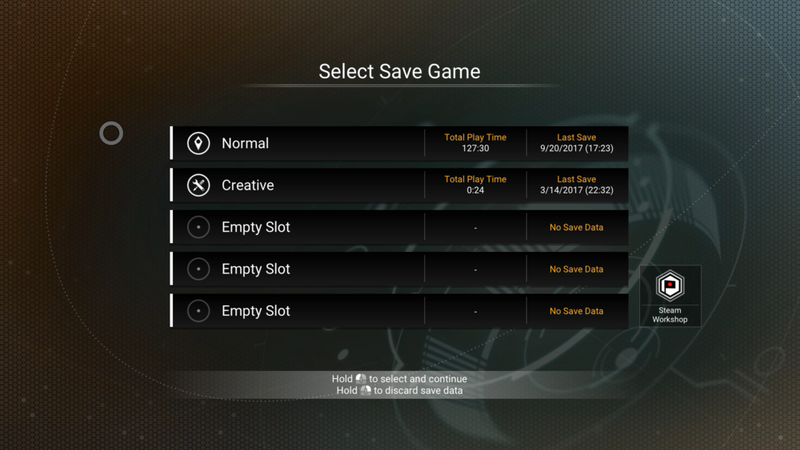 Inside the AppData folder, you need to find the Hello Games folder, inside that there is a folder called NMS and inside that there is your save folder which will have an alphanumerical string for its name. 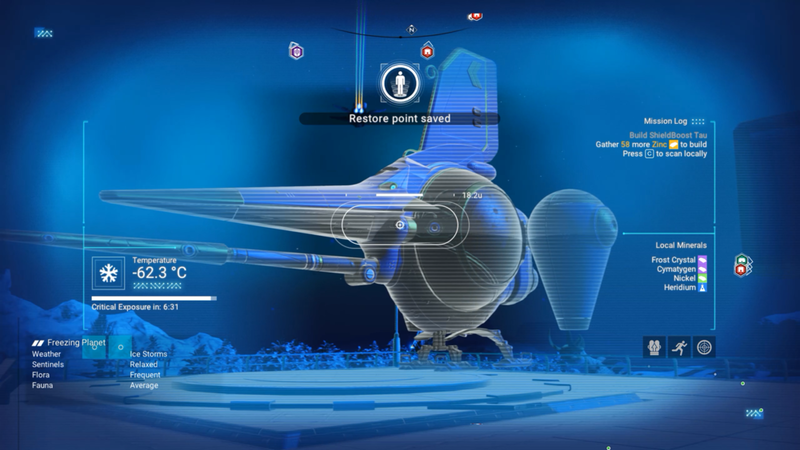 Copy and paste this folder to a safe location, I put mine in a folder called NMS Save Files that I placed in my Documents Folder, I, in turn, create a folder for each save folder that has the date of the backup as the name for easy organization. That's pretty much it, let me know what you guys think of the new save system down below. *These are some good quality of life changes, the last of which I'm not sure was really, all that necessary, but still, it's a feature that helps few but hinders none, so all good. The Ability to now scan ships from a distance to see the class and cost is a fantastic addition, aiding the perusal of the automotive market. *FINALLY! This has been something I've personally wanted and have seen mentioned, I think, since the game was released, they did make it less intrusive with milestone pretty soon after release but the black bars have always been a bit of an issue, having a skip button gives the best of both worlds with keeping the effect of the cinematic climax for those that wish it while having the option to skip when patience is running thin. I would suggest to HG Developers to maybe also add an option in the main menu to actually turn the Black Lines off completely if so wished, negating the need to skip every time. *Ok, fine, this isn't a major change, but by golly, it annoys me when it keeps resetting, throws you off on the cursor location sometimes, glad this is sorted. *Another excellent change, a lot of these changes fell like fixes, but they aren't technically fixes as they were working as intended before, was strange to sort all of these patch notes this time around. Some may have noticed from the first edition of the Hunt for Organic Catalyst that this very noticeably affected me in video, quite annoying when you're on an extreme planet and just trying to talk to some folk. *Another one that isn't all that major as far as what it has done, but it's very welcome, this one was definitely for the Pedants. Such a simple little button, yet so helpful! A godsend in those times of little patience. *This has been an issue since the last patch was implemented, I had seen evidence myself until this fix/not fix, but viewers had mentioned this and I had also seen an account on the forums so good it's fixed! *Good change folks, good change that leads into the next one! *Very glad they've done this, it was very dull in trading at time when you get to a star system and everyone sells everything and buys everything for exactly the same amounts in the entire system. Mini-Economies seem logical within systems, so this is a welcome and valid change. *Ok, this is very nice, it can be super annoying to get a single shot miss your enemy and hit an ally or freighter to then be made the bad guy, quite happy they done this one. *The latter is a fix but they seemed good together, this is as with most a welcome change, the transfer system is really coming together now. *Hopefully this is the last of the required fixes to make that friggin' questline work, If any of you fine folk are still experiencing issues with this Artemis questline, let me know below. *Another excellent trading change, one that of course should have been there all along but you know how things are, can't have everything, better late than never. *This would be infuriating, not only would your resources disappear but I imagine the majority of player wouldn't even notice as if you base is big enough to utilize the restrictionless building, you probably would notice missing resource from a flash look and likely just shrug it off. *This was so damn annoying, so so glad this is fixed now. *Another annoying thing fixed, thank goodness, when you're putting the finishing details on a masterpiece and BAM! 50-foot long tunnel... SON OF A! *Super happy this is fixed now, was getting rather annoyed with that dang eye pointing to a mixture of nothingness and anomalies. *Not sure how I feel about this one, this has provided me with an Anomaly whenever I wanted which refreshed over time, I only used it 3 times but ya know, was nice to know it was there! Aaaaaand that... is... it, a fairly humungous list of changes and fixes, I'm almost worrying just how many dang bugs are in this game, I mean I knew it was buggy but how many more are left if after so many weeks they're still making fix lists this long. Regardless, they are fixing it which is all we can ask for. Let me know how you feel about these changes or whether you're pissed they haven't fixed a specific bug you still suffer from like me and my damn 16th glyph! Thanks for reading folks and have an utterly extravagantly sexcellent day!